A Scoop Of: The Leading Travel Blogger In The Region, Sherif Fayed! One of the most influential figures in the Arab World, Sherif Fayed, is always making headlines for all the right reasons! He’s an Egyptian content creator and travel blogger, and he has a huge fan-base in the Arab World, with over one million followers on Instagram alone! 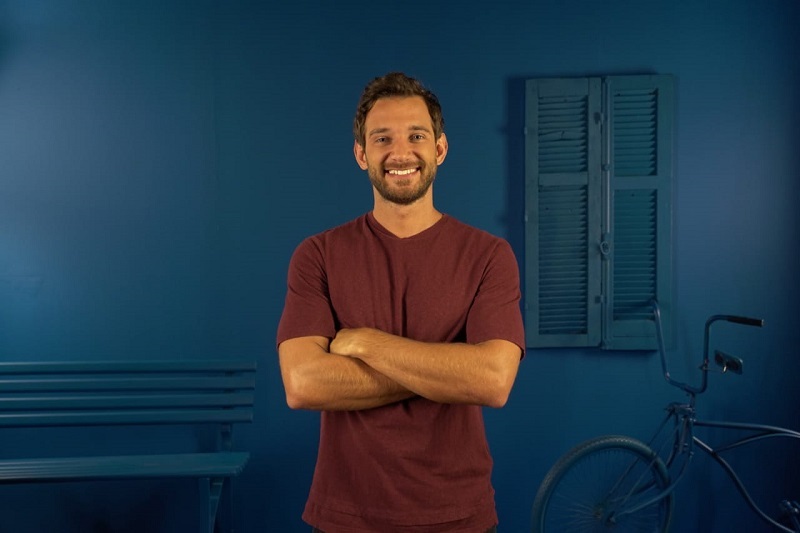 Sherif Fayed is also the host of Sadeem, the leading competition of content creators in the Arab World! Our readership definitely favors the influencer, voting him as the winner of the Scoop Empire Readers’ Choice Awards for the Top Arab Influencer of 2018! You recently won the Scoop Empire Readers’ Choice Awards. What would you like to say to the readers that chose you as their favorite Arab Influencer? It definitely means a lot to me, I’d like to thank everyone who voted for me. This kind of recognition means that they like seeing the content I create on my pages and will be a drive for me to create more exciting things for them to see. My career as a content creator started about 5 years ago. I decided to pursue my dream of traveling the world and share my stories and experiences with the people who follow me. Having gone through that experience I’m very excited to host Sadeem Season 2 as it’s the biggest digital competition for content creators and influencers in the Arab world. Tell us more about the idea of the show and your role in it. The idea of the show is to discover the best up and coming content creator who will compete for the title of the next biggest influencer of the Arab world. Sadeem aims to inspire young people to build their self-confidence, make a difference in their communities and in doing so, spread a message of hope and positivity across the Arab world. The one lucky winner of the show will win the prize worth of 1 Million Riyals as well as an opportunity to produce his/her own program on social media. As a leading content creator in the region, what advice do you give to young promising creators? To keep on creating. It takes a lot of time to build up your profile, personality, and skills. Learn from others what you don’t know and help others with what you do know, the internet is about collaborating. Also, your success doesn’t come overnight, you’ll have to work on yourself a lot and you’ll see a big difference over time. Where do I even start! I have so many things lined up. This year I’d love to learn a new skill and that’ll be freediving and spearfishing. I have a bunch of countries I want to visit as well but the top two I would say are Japan and Brazil. Australia! I was there for a 2-week trip over Christmas and New Year’s and it was incredible. It offers everything! Wildlife, stunning beaches, rainforests, good restaurants, great nights out and so much more. I felt like I was traveling from country to country when I traveled with in Australia. If you’d live in a fantasy movie, what would it be? Iron man. Wouldn’t mind being that superhero. If you could meet a fictional character and a historical one? Who would you meet and what would you ask them? For the fictional character, I’d probably want to meet and be friends with Chandler. I wouldn’t really have a question to ask him, I just relate to his sarcastic humor so much to the point that I think we’d make great friends. As for the historical one, there are so many great characters I would love to sit down with and talk to… so I can’t really make up my mind. What is your advice for young travelers from the Arab world, to pursue their traveling lifestyle? Take the leap and don’t be scared. Planning is key, especially when you travel on a tight budget. It could be intimidating to travel alone and stay in hostels with other people but what people don’t realize is that they’ll feel right at home when they do. The thing about hostels is that it gathers people from every corner of the globe who have the same target and that is to see more of the beautiful world we live in. You’ll make so many new friendships, see different cultures, exchange some crazy travel stories, learn from each other and develop confidence. WE SAID THIS: We can’t wait for Fayed’s next adventure!